Rhea Shah: 16-year-old Rhea Shah develops a crush on her brother, Robbie's, best friend, Joy Fernandez. She adopts the alias The Guitar Girl in a misguided way to keep a hold on her feelings. Rhea cares about her two best friends, Sophie and Arjav, although the latter knows how to push her buttons. She is pretty awful at hiding her feelings. 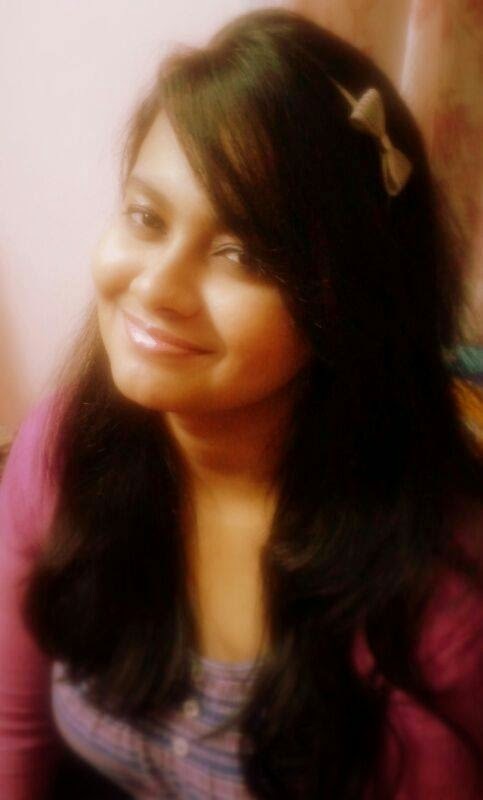 Joy Fernandez: 18-year-old Joy is Rhea's brother's best friend, as well as Arjav's cousin. He takes on Rhea as his student, teaching her how to play the guitar, unaware that she harbours feelings for him. He can be pretty dense at times - refusing to see what is really happening right in front of his eyes. He dates a rather crazy girl in college, Rosetta, who later becomes Robbie's girlfriend. Sophie Ghosh: Rhea's best friend in school, who discovers her secret at the beginning of the novel and keeps encouraging her to confess to Joy about it. Initially united with Rhea on the front by finding Arjav, she begins liking him more than a friend. Both she and Arjav believe in meddling with 'destiny'. Robbie Shah: Rhea's older brother who has no idea has his sister has fallen for his best friend. He is too preoccupied with his band and his girlfriend, Rosetta, who Joy had dated before him. Arjav: Rhea's oldest friend, who knows her secret and wants her to tell Joy as well. He and Sophie like each other and likes to meddle with 'Fate'. Well, this was the first time I read a novel in this type of way. It was a nice change and it was interesting reading mostly of Rhea's pov via her journals, emails, text messages, and etc. The Guitar Girl started out when Rhea's older brother's best friend, Joy, went home with him on the weekends. Rhea has known Joy since school as a dork but his transformation in college changed him to someone hot. I kind of find this part sad since the reason why she first started having feelings for Joy was because of his looks unlike Rhea's best friend, Sophie. So after, that she shared her feelings to her best friends (Sophie and Arjav). So she started picking up guitar lessons and guess who's going to be her tutor? It's no other than Joy. At the same time she started her own blog called Guitar Girl where she writes those feelings of hers especially those concerning Joy. A big surprise for her that someone commented on her post no other than J. Fern, whom she actually found out what Joy himself. That's the start of her adventure. 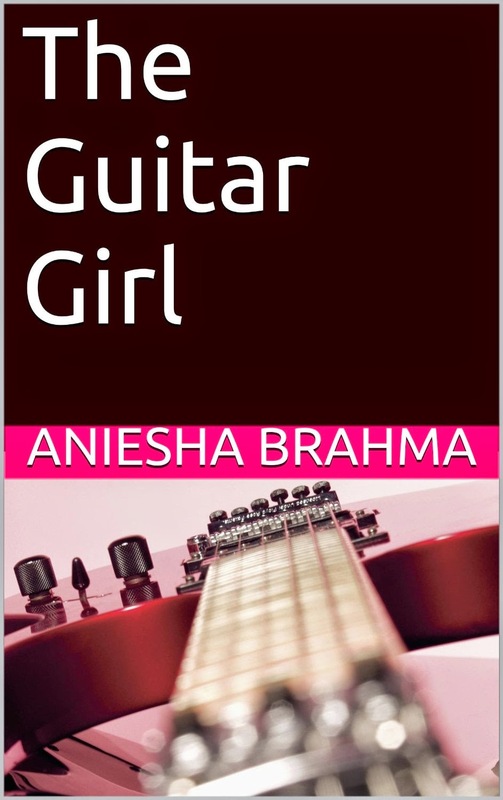 Find out more about her journey about trying to keep her identity as Guitar Girl, confessing to Joy, and other dramas concerning her friends and brother too. I won't spoil the relationship between Rhea and Joy just that like other couples they have their ups and downs as well. I kind of find it amusing how Joy spilled his guts to Guitar Girl, at the same time it's sweet although I understood his confused feelings. At least Rhea had an inkling of how his feelings. But don't worry it turned out okay in the end. Sophie and Arjav were both funny characters and I liked how they try their best to intervene in Rhea's love life although I can't believe they share every secret to one another. They don't keep one thing to themselves. I mean sure they do but they also share them afterwards. I kind of find it annoying that they're always caught passing notes and earning extra work in return, and getting in trouble with their elders because of it. I find that Sophie and Arjav are a cute couple. Like I mentioned, I'm glad that Sophie noticed Arjav sooner despite how he looks. I felt bad for the other girl especially when her situation was explained. But I'm glad they behave in a civilized manner at the end. Although I felt that there was something lacking. It needs something more, but I can't explain it well. I kind of felt like I couldn't really connect to the characters. I do loved the humor parts in their conversations especially their New Year's resolution. That was so funny. I have a big hunch who the anonymous guy posting on Rhea's blog. I felt sad for him though because of his unrequited love.